A steering committee was required to take the project forward and all groups within the Club were contacted to be part of it. 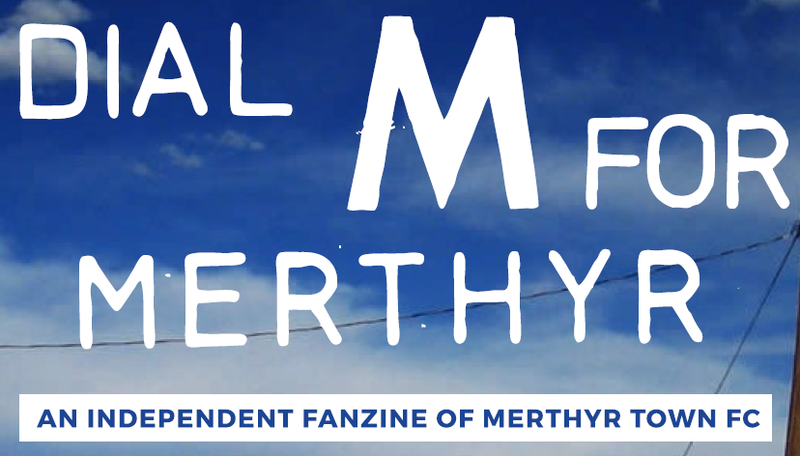 Very soon we were able to contact Supporters Direct to confirm that we would seek a mandate from the supporters of Merthyr Tydfil FC to form a Supporters’ Society AKA the Trust. The title of “Martyrs to the Cause” was adopted in the first steering group meeting which was a perfect statement of the supporters’ commitment to our club. Jacqui Forster was our case worker from Supporters Direct and she was vital in guiding us through the registration of the constitution but not before visiting Penydarren Park on a couple of occasions to help set up that first public meeting. Not bad for an Altrincham supporter and she never once mentioned the 9-2 win. So in the spring of 2004 Martyrs to the Cause hosted its launch event in the Hall of the Strikers clubhouse. Swansea City Supporters Trust were our “sponsors” for the event and the late Richard Lillicrap spoke eloquently on the benefits of organizing a Trust to represent the wishes and ambitions of its members. Both Mark Collins (Chair) and Mark Evans (Secretary) appealed to the supporters present for a mandate to form a Trust and following a unanimous vote we were on our way. The Trust wasted no time and immediately launched two projects that remain vital to our Football Club a decade later. During the Keith Walker days at the helm of the club the youth team had been disbanded as a cost saving exercise, almost every Merthyr supporter saw that as short-sighted and so an appeal for funds to resurrect the Youth team was an instant success. Fans being able to donate £10 a year in addition to Trust membership to maintain a youth set-up independent of the Club itself. Les Barlow was invited to form a team to represent us in the South Wales FA Youth League. We won the league in our first year and a few years later we were the best youth team in Wales when we won the Welsh Cup at Port Talbot on a balmy Sunday afternoon in 2007. Soccalot was an idea brought to us by our rugby counterparts from the Wern. Despite the reticence of the Football Club to promote the idea it formed the backbone of our fundraising with pubs and clubs all over the Borough helping to sell tickets, from the early days Phil Evans and Geoff Chinnock worked hard to ensure that it was a success. That work has continued and without the funds raised by Soccalot we wouldn’t be here today to enjoy the Martyrs playing the beautiful game. During this time Mark Collins was voted as the first Chair of Martyrs to the Cause. The Trust has remained a transparent organization which follows its constitution which was registered on 12th July 2004 hence the 10th birthday party event that took part last year at Penydarren Park. Our initial contact with the Board of Merthyr Tydfil FC was positive, we were looking to invest new funds in exchange for a voice in the club. Our first offer was a 1% shareholding for an investment of £10,000 which we thought achievable in the short term. Everyone could see that 1% was a symbolic amount but it would ensure that we could ask questions at the Club AGM (if it was ever held) plus it would show the supporters that we could influence decisions at the club. A success in 2007 was the appointment of two Supporter-Directors selected by the Trust to represent the supporters on the Club Board, the lucky people were Mike Donovan and Richard Bennett who looked to forge a new partnership with the Directors. It was a result of the Trust donating £16,000 so that the 1% shareholding finally appeared. The Ex-Players’ Day was the next project for the Trust to recognize the players & staff who had worn the famous black & white shirts at Penydarren Park. Lyn Jones was instrumental in ensuring that the day has become a fixture in the calendar at Merthyr with the pre-match photograph of the former stars the highlight of the day. The Trust was becoming a vital part of Merthyr Tydfil FC as things began to unravel in the Board Room for example in 2007 we stepped into provide insurance for the players from first team down to the youth set up which by then was producing international players such as Craig Moses with Wales U21 and U19 teams plus Matty Harris, Ryan Griffiths and Marcus Griffiths with Welsh Schools U18 team. The Club was by now in a chaotic state with the main focus remaining on the Merthyr Village project. The finances were strained as the Club continued to live beyond its means, the playing budget was unsustainable and bills were not being paid. It was at this time that the Trust Chairman David Webb was banned by the Club from the ground which provided the catalyst for a more radical approach to the Trust’s relationship with the Directors. We knew that the only way for the club to progress was for the fans to take control over the day to day running of the Club. On 27th February 2008 the Club advised the Trust that unless we handed over all of our funds that we would be banned from fundraising at the ground. Ironically it was during a bike ride to Mangotsfield that we got the news of the ban, we were raising £1,500 to purchase much needed medical equipment for the first team and to pay off a FAW suspension hanging over first team manager Gary Shephard. The Trust was not to be intimidated, by now it was obvious that the Directors were not serious about engaging with the supporters in any meaningful way, in the 10 months that we had held the shareholding we had only been invited to attend two meetings at which the sole agenda item seemed to be us handing over more of our members’ money. The Trust still looked to be positive in its dealings with the club and offered to take over the Club if Wyn Holloway took his debts with him, the offer was genuine and was backed by a business plan but the offer was turned up down without even a look at the details of the suggested take over. Within six months the Chairman has stopped funding the club and had seemed to disappear from Penydarren Park. The club was a sitting duck now with creditors circling for payment. The last payment by the Trust to the Club was in the form of a loan for £1,700 which classed us as one of the many creditors owed money by Merthyr Tydfil FC. The Trust took the decision to place the club in administration at the end of the 2008/09 season in order to protect it from those creditors. We think we are the first and only Supporters Trust to place its own club into administration. It was a risk but desperate times meant desperate measures but we were to find out that administration is an expensive to avenue to go down and that the Trust funds were to be stretched as we had to fund the club for over £60,000 to finally reach our destination as a reformed club. The 2009/10 season was a challenge for the new supporters group set up to run the club’s affairs, the Trust was of course included and provided the governance and finance streams to support the club in its administration period. The Trust board continued to commute to Worcester to pay the administrator and maintain the license provided by the FA for the club to continue in the Southern League. It was increasingly obvious as the season progressed that there was no way out of administration for Merthyr Tydfil FC with the owner in no mood to compromise on the debts and the HMRC still waiting to be paid. Finally it was confirmed that our club would be liquidated. It would be up to the only people who care about the Martyrs to save it; it would be resurrected by it supporters. The reformation of the Club as Merthyr Town FC started with the public meetings in the Penydarren Club where all groups within the club once again came together and chose to adopt the Trust model for the new proposed club based on a sustainable business model. The mission statement “Progress through stability” was adopted and has become the new club motto. Supporters Direct and in particular Kevin Rye were once again at our side as we tackled the numerous hurdles to be cleared before we could seek the approval of the FA to reform under their rules in the English pyramid structure. Merthyr Town FC was registered as a Community Mutual sports club. In effect the Supporters Trust became the Football Club. A true community club run by its members. The Trust had been attending meetings at the FAW over the previous season to ensure that the governing body in Wales was aware of the situation at Penydarren Park and to advise Neptune Court of the FA regulations and that we were looking to follow their rules to reform under those very specific rules. The FAW at this time had no rules for reformed clubs so were happy for us to apply to the FA for permission to stay in their pyramid structure albeit at the lower rung of the ladder. The final hurdle was thought to be an interview with the FA at Wembley Stadium to confirm that we had met all the stipulations under their regulations and that we could take part as Merthyr Town in Step 6 of the pyramid. However the appointed liquidator for the old club still held the deeds for Penydarren Park and so as the deadline approached for the meeting with the FA the Club Board discovered that we had to find a ground. We had 48 hours. John Strand and Mark Evans got in a car and started a tour of South Wales to find someone willing to share with this new club. The second stop on the tour was at Rhiw Dda’r the home of Taff Well FC and luckily for us their reserve team was disbanding after a long history in the South Wales Amateur League and so there was spare capacity at the ground for us to share with them. By the Monday the agreement was signed and the final piece in the jigsaw was in place as the Club team departed for Wembley. The FA were satisfied of course with the presentation from our team and we were accepted into the Western League for the 2010/11 season. We had to make some improvements, more finances, to the Taffs Well venue including additional seats in the stand, bigger dug-outs and dressing room facilities to ensure that we reached the criteria for the League however it was in the 1st Division that we would start the new campaign. A drop of 3 divisions in total. It was a proud moment for everyone involved in football at Penydarren Park when the lads in red & green (the team colours would return to black & white at the end of the season after a members vote in the club’s first AGM!) ran on to the field at Shepton Mallet. It had been a long journey from a public meeting in Strikers to the first fan-owned football club in Wales but it had been worth the journey.